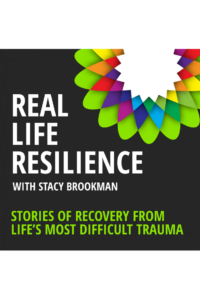 Stacy Brookman is a Resilience and Life Storytelling Expert and produces the Real Life Resilience podcast. Her mission is to tell stories of recovery from life’s most difficult trauma and provide tools for resiliency for kids and adults. Her free webinar will give you 4 Simple, Proven Methods to Writing the First Chapter of Your Life Story in Just 7 Days. Life is a story…it’s never too late to start telling yours. Stacy has always been interested in books and writing, and during a very difficult time in her life – when she was amid a very traumatic divorce from a sociopath – she took a memoir writing class. Writing her feelings and experiences was calming and therapeutic for her. 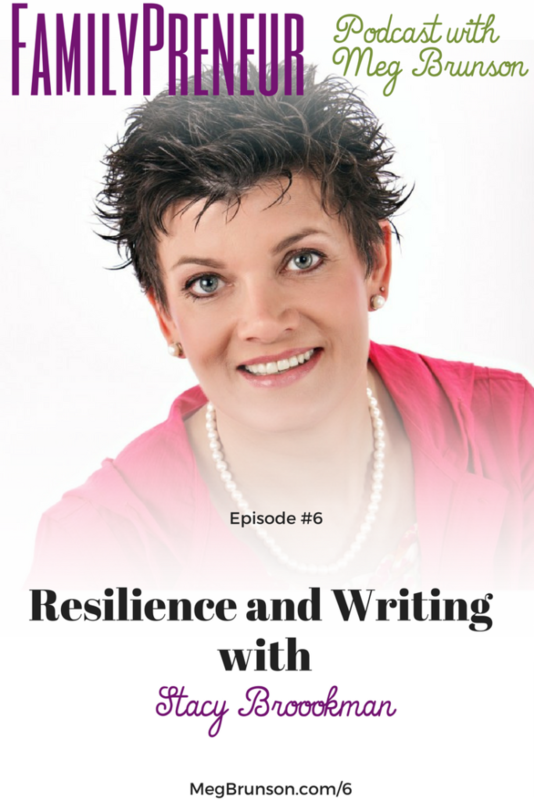 It inspired her to study the therapeutic effect of writing and then paved the path for her current passions, helping other people experience the same benefits from writing their life stories. She shared some surprising stories of the experiences she encountered when her ex-husband cut the heat lines to her home during a frigid NY winter, called Child Protective Services on her, and even bugged her vehicle. Life Storytelling allowed Stacy to take these crazy things that had happened to her and turn it into a way for her to help other people. Growing up, Stacy’s parents were pretty intent on her finding a traditional steady job. This was in the 80s, when entrepreneurialism was not as accepted as it is today. Now that she’s an adult, her parents are very supportive. Being a single mom, and working a corporate job that was an hour commute each way, Stacy had no choice but to give her children added responsibilities like getting themselves on and off the school bus and chores around the house. She admits that the mom guilt was strong, but she also knows that her daughters are preparing themselves for the real world. Stacy describes the experience of having her oldest daughter travel to Japan alone for over a month. Her daughter was always interested in Japan and even taught herself the language. While she’s unsure what she wants to pursue in life, her passions right now are taking her around the world and Stacy describes some of the entrepreneurial lessons she is learning as a result of those journeys. When it comes to tricks and tips, Stacy recommends being organized, and delegating tasks whenever possible. We already mentioned that her kids are responsible for many of the household chores, and Stacy also delegates in business. She has used Virtual Assistants in the past and recently learned that her local college has students available for internships that can help with some of the time consuming tasks of running a business. In the last episode we met Cat Stancik. Cat is a business coach known for her tough love and amazingly well-branded website. We explored the topics of revenues vs. profits, goal setting, taking focused actions, and more. If your business needs a kick in the pants to uplevel, you’ll want to go back and give Cat’s episode a listen! We meet Susie Parker in the next episode. Susie is a certified Sleep Consultant and founder of Sleep Baby Love, Child Sleep Consulting. Through personalized consulting and online courses, Susie helps many exhausted families teach their babies, toddlers and preschoolers to LOVE sleep. Susie and her husband both hold corporate jobs as well as self-employment and believe in the power of diversifying the household’s income. If you have a little one who is struggling with sleep, or are balancing a corporate job and multiple income streams, you’ll want to subscribe now, so you don’t miss the next episode!